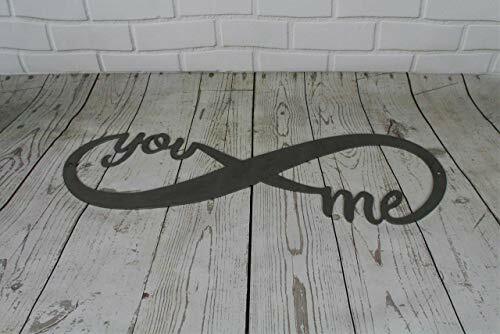 Raw Steel Unpainted Word Art - Infinity 18"
Product prices and availability are accurate as of 2019-04-21 19:22:43 UTC and are subject to change. Any price and availability information displayed on http://www.amazon.com/ at the time of purchase will apply to the purchase of this product. 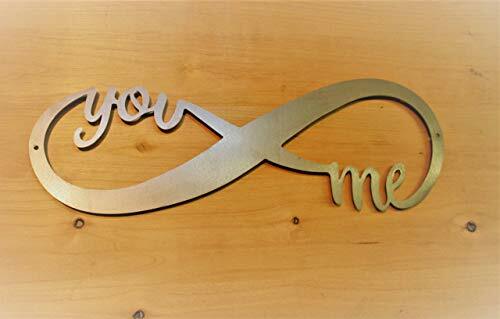 You and me for infinity! 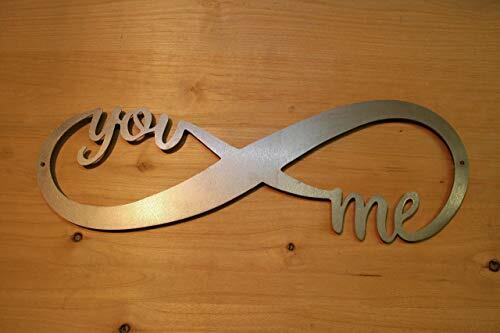 This beautiful bare metal sign is ready to paint! 18x6" in size. 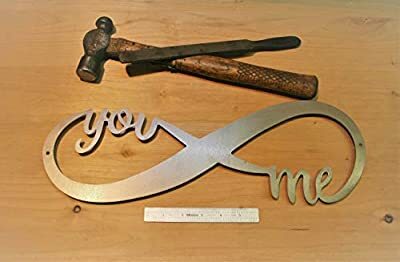 This word art is cut from steel about as thick as a nickel. This do-it-yourself raw steel sign is coated with an oily film to prevent rust during transit. While we use brand new steel and use rust preventative measures on the mild steel, your raw steel sign can develop slight surface rusting during shipment to your location. This is most likely during transits in high humidity and/or the package being delivered in the rain. Any light surface rust is easily removed by lightly sanding or scuffing with a scotch brite pad before painting or display. We recommend lacquer based paint thinner, acetone, automotive brake cleaner or solvent based wax & grease remover to clean the oily film off of the sign before painting. Sanding with a 220 grit or finer sand paper or using a scotch brite pad to scuff the surface of the metal will greatly enhance paint adhesion. 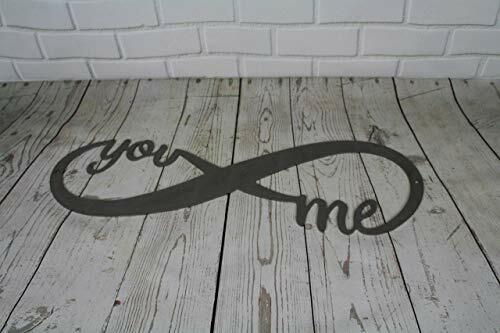 Spray paint with primer is an easy coating for this type of sign. We do not recommend water-based paint on raw steel products as it can cause rust instead of preventing it. Always paint the back side first, so that the front will not be placed down after painting. Signs can be hung with commercial grade double-sided tape, Command strips, or you can use small finish nails through the openings in letters. We hope to provide you with a great starter piece for a fun project! Check out youtube.com for inspiration on custom paint projects! With time and exposure to moisture the sign will rust if not painted. Click on the "81 Metal Art" link above the photo to view all of our items. We offer a variety of finishes for this item, including rust-proof stainless steel!